Among our family and friends, Tinsley has become the Cupcake Queen. If there’s a party, everyone comes to us for cupcakes. And over the past couple of years, she has made some incredible cupcakes. When we started this blog, Tinsley denied her ability to bake and always referred to her style of baking as semi-baking. As you can see from this recipe below, she still takes a lot of help from the store by using our favorite semi-baking method, but if you look back at our posts from the very beginning, you can really see how much she has learned and blossomed. Prep mix bake according to the directions on the box. Fill cupcake liners slightly higher than normal. Allow cupcakes to cool before handling. In a medium bowl, beat all ingredients together. Fill a large piping bag. Reserve and refrigerate the rest in a bowl to use later for garnish. When cupcakes are cool, press tip into the center and squeeze the cream filling into each cupcake, until they slightly bulge. Heat the milk in a saucepan over medium heat until hot. Immediately pour the milk over the chocolate and set aside for 2-3 minutes. Whisk until smooth and velvety. 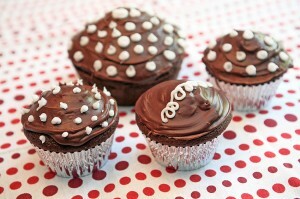 Spread slightly cooled ganache over the tops of the filled cupcakes. Transfer to fridge to set for one hour. Once the ganache is set, fill a piping bag with leftover filling. 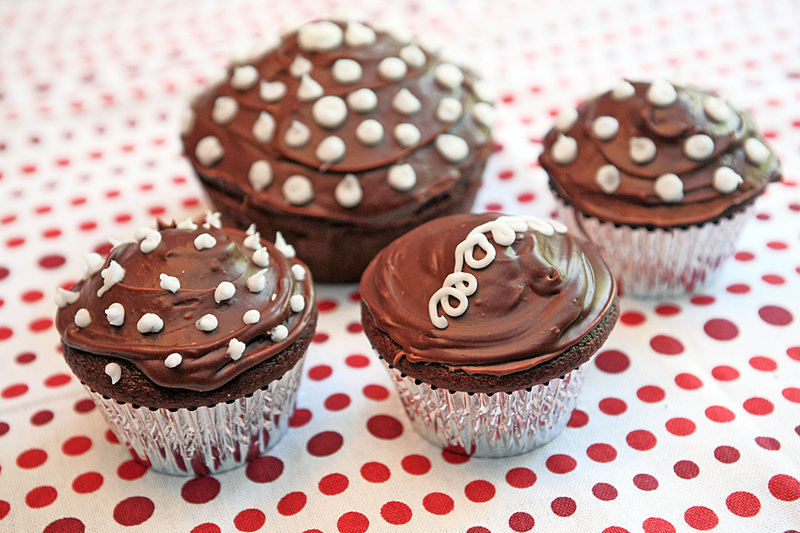 Pipe curls or polka dots onto the cupcakes. Keep refrigerated until used. Thanks for sharing your recipe. Have a great day!